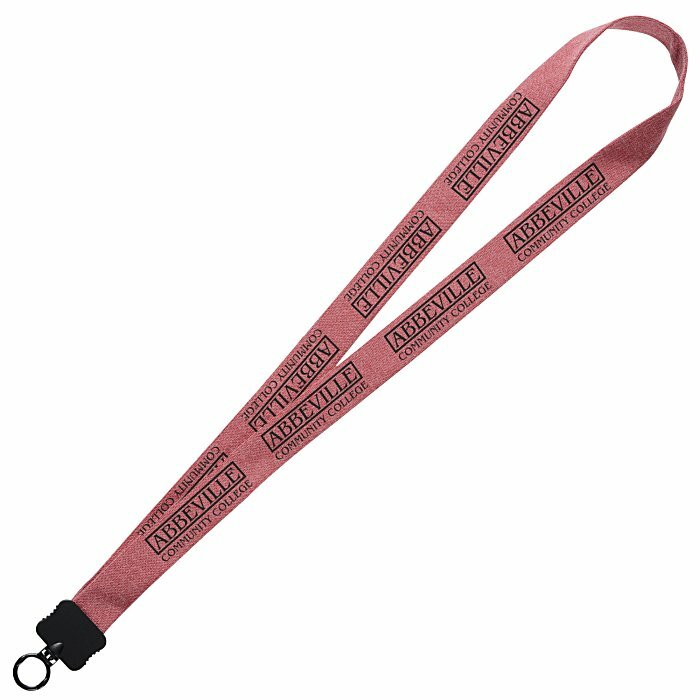 This custom heathered lanyard is a wardrobe-friendly badge holder! Proudly display your name and theirs with this custom badge holder. 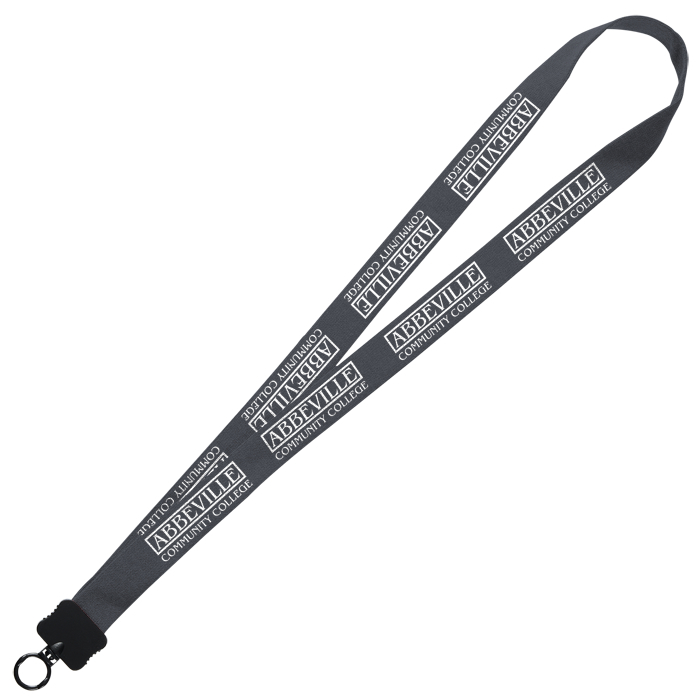 This imprinted lanyard is easier and more enjoyable to wear than badges that clip or pin onto clothing. Knitted cotton lanyard comes in several heather color choices to match your company aesthetic. Simply attach your badge (not included) onto the plastic “O” ring and slip the lanyard over your head. Or, use this lanyard to keep track of all of your keys. Your price includes a white imprint on the front of each strap.